Plus size trousers: a bit of culture for every day. Let’s begin our tour of the plus size pants section of our online shop with our range of business pants. Combined with a blazer, sport coat or cashmere pullover, you will be the very definition of “well-dressed”. Casual trousers can also be worn in a classic combination with a plus size sport coat. 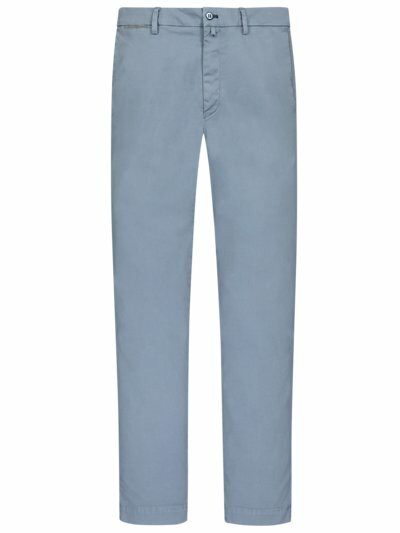 Chino-style pants are super comfortable and robust, and therefore the perfect choice for a leisurewear outfit. Most styles are machine-washable. Our plus size corduroy pants are a great choice for autoumn and winter. How about a traditional country gentleman’s look with a typical British sport coat or – for a more relaxed look – with an Oxford shirt and sweater. Corduroy pants are durable and breathable, absorb moisture effectively and exude a laid-back attitude. Our winter range is rounded off with thermal trousers. We see in the spring with super-light, fine-thread virgin wool or equally comfortable summery cotton. Linen is a cool alternative when temperatures go up. Keep cool in shorts with 3/4 or 7/8 length legs. There has been much innovation in styles and in colours, from subtle neutral tones to bold red and cheerful yellow. Hirmer BIG & TALL offers a comprehensive range of XXL pants that will highlight the new colours of the season in perfect outfit combinations. Sporty cargo pants come with lots of pockets, making them a casualwear favourite. Pants are one of the basics of a man’s wardrobe, short or long, sporty or elegant, regular or slim fit. The most important thing is that they sit well and feel comfortable. After all, trousers are worn all day and so should feel like a second skin. Depending on whether you need a business outfit or are looking for a casual leisure wear style, with the right pants, you will not only look well-dressed; you will also feel comfortable and confident. You can combine them as you like, depending on the occasion. Match casual blue jeans with relaxed cotton hoodies and sport shoes for a leisure style. 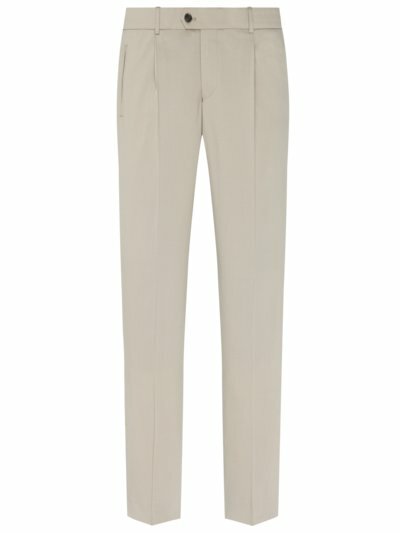 Chinos in beige, blue or khaki are ideal as workwear, if you wear them with a formal shirt and a blazer. if you feel like doing sport, choose black or grey sweatpants for a comfortable workout. Trousers for men are particularly versatile and feature a great fit and high-quality material. Ultimately, however, your "perfect pants” are a matter of personal style and your own preferences. Chinos are popular, classic and yet modern. While they used to be worn only in the summer due to their lightweight fabric, today men like to wear these trousers any time of the year. Combine with a shirt for a sophisticated business look, or with a T-shirt for the perfect leisure outfit. Whether you choose corduroy pants, chinos, business pants or shorts, the most important thing is that the cut should fit your figure type and feel comfortable to wear. Some manufacturers offer special refinements for plus size men. Men who wear a larger size will need a pair of trousers that fits their needs. An elastic waistband is perfect, so that the pants fit properly without feeling restrictive or slipping down. Trousers in regular cut are having straight legs, slim fit models are a little more tight. An element of stretch in the fabric also ensures maximum comfort from XXL to 8XL. 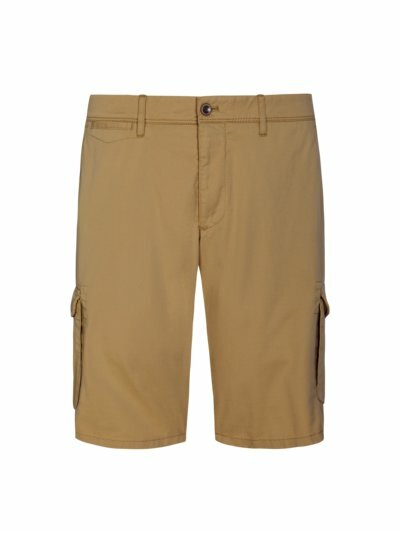 Shorts in bright colours like beige, khaki and grey, low-waisted chinos, denim jeans or the classic business pants in plus sizes? Men who are looking for plus sized trousers shouldn’t just buy any pair of trousers. Because for every figure, every size and every build, you can find the perfect pants and the perfect cut. There are many different variants such as Comfort Fit, pants with stretch, or trousers with an elasticated waistband, to make it possible for everyone to find the right pants in the right size. If you are unsure which size is the best for you, take a look at our Men's Size Chart filter or seek advice from our qualified service staff. A good fit and the right size are particularly important factors when it comes to finding the perfect plus size trousers for men. Discover the variety of the Hirmer BIG & TALL range.